The ceiling fan can be seen in millions of homes all over the world. Back in the day, ceiling fans used relied on steam from running water plus a turbine in order to operate. The speed was controlled by said turbine. By the time the 1880’s rolled around, the electric ceiling fan was created and people began to use the unit more. During the Roaring 20s, many American homes featured this convenient appliance. The best ceiling fans were used due to the comfort they bring, especially during the hottest days of the month.The first ceiling fans, though, did not come with lights. The lights were later additions and were used for both functional and ornamental reasons. A ceiling fan can instantly provide any room with a decorative accent. In fact, lots of ceiling fans have excellent modern designs that can give homes and offices a boost apart from giving a cooling breeze. There are reversible models of ceiling fans too, which means the fan can be run in reverse to provide warm air for the colder months of the year. Thus it only indicates that the ceiling fan is indeed one worthy investment since one can use it all year round. 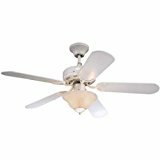 When looking for a ceiling fan, you have to be aware of the particular style of the room or office where you are going to place the unit so you can choose a model that will fit easily into the setting. There are lots of designs and styles available in ceiling fans so consumers will find one that best fits their dwelling. You also have to keep in mind factors like size and blade shape apart from the style, light fixtures, and finishing material. 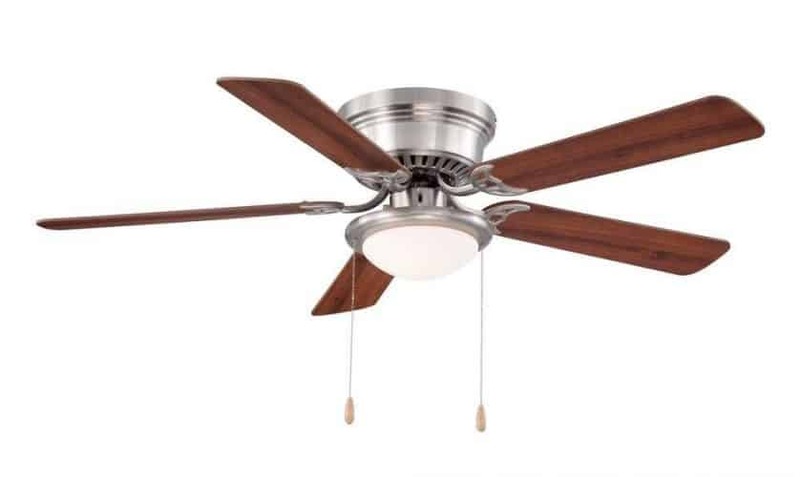 Another essential factor one has to remember when shopping for ceiling fans is to select the correct size blade and shape for the room or office so it can distribute lots of air as much as possible. Functionality is something that must be taken to heart when looking for a ceiling fan so it can suit the space or room. It is also wise if consumers spend some time checking out the features of the models they areinterested in before making a decision. There are consumers who will want a model that comes with remote control features for better management of the unit, while some are content with a power switch on the wall. Consumers can also look into customizations among fan models to better accommodate their needs. Here are some of the common ceiling fan styles being sold on the market today. Traditional style ceiling fans include 4-5 blades. These blades come with minimalist or simple designs. Colors for this kind of fan often come in neutral or basic shades like red, black or white. Traditional ones are not actually monotone but they will often suit modern homes or offices with a minimalist décor. These days, the minimalist look is the choice for plenty of hip homeowners, and the fans that go with them are often traditional with solid colors and sleek lines. Some traditional fans also include light fixtures. Furthermore, a good majority of these products also come with reversible features so users can utilize the fan during the colder seasons of the year like autumn and winter. Ceiling fans now come in modern designs to fit contemporary home trends. There is a good range of colors to choose from. In terms of light fixtures, consumers are also offered with a nice variety of black finish fixtures down to brushed nickel ones. The blades of the modern fan can be rectangular in shape, spherical, or oval. Modern styles often come in flush mount or hugger designs, fans which can be placed near to the ceiling. Another modern style is the vector type unit. With this kind of style, you will find that the base closure of the middle is broader and it narrows down towards the end so it will be moderately thinner. This kind of blade design makes for better, more even air distribution. These blades can be changed as well since the majority of this style come in regular blade foundation size. Country-style ceiling fans are for the outdoorsy type or homeowners who have rustic-style home décor. This kind of ceiling fan is also suggested for homes with a hemmed-in outdoor setting. Most ceiling fans that have a country style design often come with wrought iron features on them or anything related to nature and the outdoors. These units also come with copper or bronze finishes more often than not for a completely countrified feel. Exotic or tropical-themed ceiling fans are available in a good range of prints, colors, and patterns. They often evoke a lively, beach-y, or jungle feel to a room. These designs at times contain common graphics of animals like tigers, cheetahs or tropical birds. This type of ceiling fan best suits playrooms or children’s rooms. They are also ideal for establishments that have the same themes. Children’s ceiling fans often have lively designs and cheery patterns that suit the preferences of kids. There are lots of styles and designs that parents can choose from. Various colors, themes, blade sizes and graphics found on ceiling fans can add pep and joyfulness in kids’ playrooms and bedrooms. Combine functionality and aesthetics with the help of children’s ceiling fans. There are space-themed models that have stars, planets, and rocket graphics on them. There are also sporty ones which are a constant favorite among boys and teens. If your child loves cartoons, you can select a model which feature images of their favorite characters. From fairy tales to various sports and television shows, ceiling fans got your kids’ tastes covered. For girls, you can’t go wrong with models that come in pastel colors and floral graphics. These pastel ceiling fans can also be embellished with stickers, stencils or colorful decals. There are different themes for fans as well meant for young ladies, from princess themes down to dollhouse ones. If your kids want a different theme every now and then, make sure to go for models that have interchangeable blades to make their rooms interesting. Utilizing a regular fan base provides parents the option to shift blades for boys and girls in a snap, and they are not too costly to boot. Whenever these blades are replaced, the pulls that the fan comes with have to be replaced as well in order to suit the brand new graphics or theme. Ask your kids for help on deciding what will go best with their room and they will always be happy to oblige. They have a good idea of what will look great in their room in order to make their personal space special. Now that we have discussed the different styles and functions of the ceiling fan, we are now ready to provide you with a list of five models that have garnered the most response from customers. To begin with your search, just read these short reviews and decide which among the few will make it to your list. Consider this a guide to choosing the best ceiling fans being sold on the market right now. By considering the help of reviews, it will allow you to make better decisions on what product is best for your money and your home. The Hampton Bay Hugger Brushed Nickel Ceiling Fan can be installed as a flush mount fan for homes that have low ceilings. It comes with reversible blades, with one side having a walnut finish and the other a maple finish. 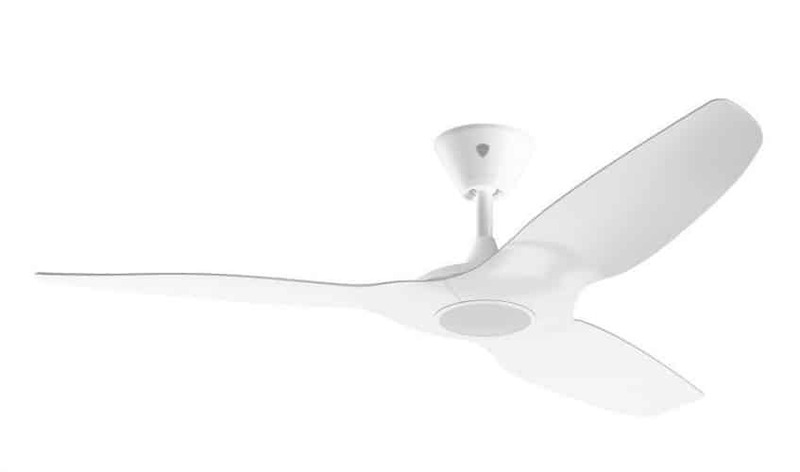 Because of its dual finishes, homeowners can easily match the fan to the room’s décor. It provides 3 speeds with a CFM of 4670 and is recommended for rooms that measure up to 20 ft. by 20 ft. It includes a multi-capacitor for soundless operation and lots of air movement. The unit makes use of medium base bulb, which is sold separately. If you are on the hunt for a flush mount model, you can enjoy the benefits and features of this Hampton Bay model. It has 3 speeds so you can modify your down-flow air preferences. It even comes with reversible features so you can have warm air flowing in the winter. For homes with low ceilings, this is a unit that is a good investment. 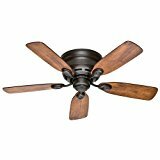 The Westinghouse 42-Inch Reversible Five-Blade IndoorCeiling Fan will provide a classic impression on your home due to its attractive brushed nickel finish and beautifully reversible fan blades with both rosewood and light maple finishes. It also comes with a white alabaster glass bowl that has a frosted texture to it so it adds a huge advantage in terms of aesthetics. Apart from being a hugely ornamental model, this model also comes with a silicon steel motor with a dual capacitor. It has 3 fan speeds for more breeze variety options and it has a reversible switch as well for a cool breeze in the summer and warm air in winter. You can run the unit in reverse during the cold season and allow the unit to circulate warmer air for maximum comfort and get rid of drafts and cold spots. The Haiku Home L Series Smart Ceiling Fan is a brand new product in the company’s lineup of products and it is a smart-powered model which is fit for modern homes. The brand has been known in the industry for their consistently efficient and stylish products. 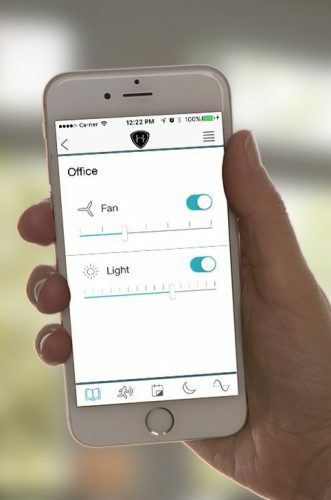 This is their version of a smart ceiling fan that comes with WiFi connectivity plus other great features which makes managing ceiling fans an easier task for homeowners. 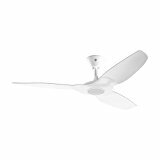 The fan comes with an elegant and modern design that will fit any contemporary dwelling. It comes with a capability to be controlled by means of voice using Amazon Echo. Users can also connect the fan to smart thermostats for improved energy-efficiency and better control. It has Woosh mode that can mimic a slight breeze in a room. Supplementing the unit with the company’s Wall Control allows homeowners to keep watch over the fan and mechanically switch the unit on or off as they enter or leave the space. 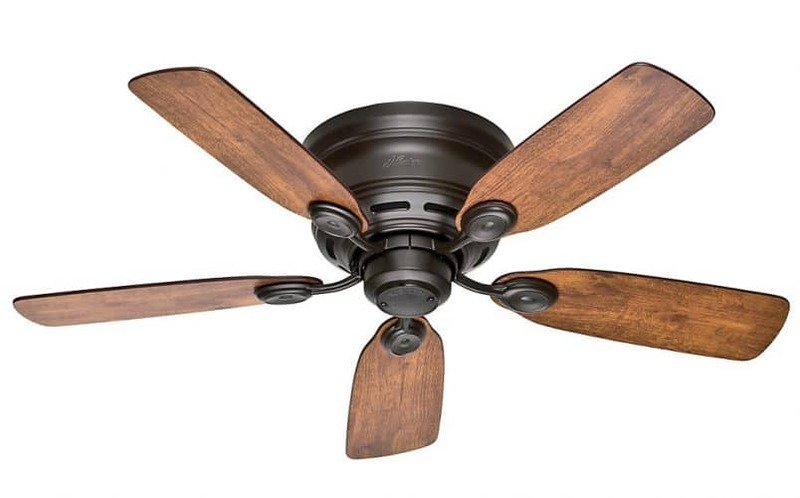 The Hunter Fan Company presents the 51061 Low Profile III 42-Inch Ceiling Fan for consumers who are searching for a unit that best fits rooms with low ceilings. This is the flush mount type so it is designed for areas with those dimensions. It combines the workmanship of yore with today’s current technology for better quality, design, and performance. It makes use of high-quality materials to produce a sleek and modern appearance. It fits contemporary homes without sacrificing style. The unit’s WhisperWind motor gives powerful air motion without any sound so you get quality air without the bothersome noise. The brand’s exclusive hanging system and motor technology ensure that it will stay free from wobbling and unnecessary noises. The blades come with the company’s patented Dust Armor nano-technology as well, which helps in preventing accumulation of dust and dirt. The low-profile design is great for rooms with low ceilings. In the winter, you can use it to warm the room by setting the unit in reverse. Faster speed adjustments and powering on and off is made even more convenient with its accompanying pull chain mechanism. 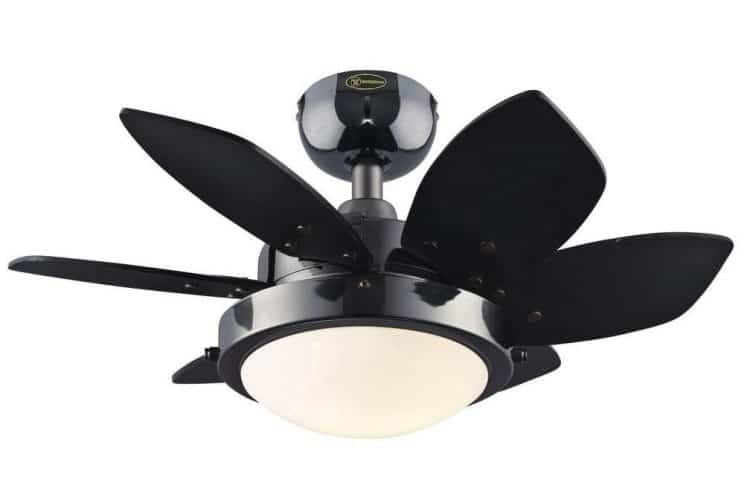 The Quince 24-Inch Gun Metal Indoor Ceiling Fan from Westinghouse is designed with a chic gun-metal finish which will suit all modern homes and offices. 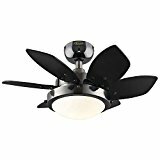 The blades that are included in this model have a graphite and black finish, which completes the whole look of the fan. The built-in light fixture of the fan blends very well with the unit’s appearance while at the same time provides good illumination. It is recommended for rooms that measure up to 10 by 10 ft. it comes with a quality motor and a reversible switch so users can choose the degree of temperature comfort they prefer. The unit is recommended for use in small rooms like walk-in closets, children’s bedrooms and playrooms, small offices, laundry rooms, and hallways. The unit is backed by a good warranty for the motor (lifetime) while other components of the item are given a 2-year warranty. Westinghouse is known throughout the world due to their quality products and prioritizing the needs of the consumer, and their dedication to quality can be seen in this product. The ceiling fan has been used for decades and it has undergone loads of changes. From steam and turbine powered models, we now have products that come with reversible features. At this point, we even now have ceiling fans that come with smart features, which ups the convenience factor. These are easy and often beneficial appliances to own because it gives us the comfort we need to get rid of summer heat. It also gives us warmer air in winter and autumn. Other than that, the majority of these units are energy-efficient—if used properly, they are capable of reducing our energy bills since it does not use up lots of power, unlike air conditioners and heaters. Once you are familiar with the workings of the ceiling fan and the kinds of styles and features available for such products, you will be capable of taking advantage of its benefits. Furthermore, if you want the unit to last long, make sure to practice proper care and maintenance on those devices. Ceiling fans are very common that every structure you enter is bound to have one, especially in the tropics. They are more affordable than air conditioning and so much easier to maintain.